Today I am happily in the Stiry studios for yet another video podcast interview. It is my honor to introduce you to Davis Smith, the CEO and founder of Cotopaxi, and outdoor gear brand dedicated to doing good. Davis shares the impact his childhood and young adulthood of living abroad in third world countries had on his desire to dedicate his life to be of use to others. He tells of a life-changing encounter he and his wife had with a young Peruvian boy named Edgar with a shoe shining kit and why he thinks of him every day. Davis shares how he was able to listen to and nurture those feelings of what he felt called to do despite it requiring him to face his fears and leave a successful business. This leap of faith eventually led Davis to found Cotopaxi, a business that could sustainably do good and now alleviates poverty through creating jobs in impoverished communities, giving a voice to those people who really should have a voice, giving refugees their first job, and other alleviating initiatives. Davis also shares how although he had intentionally created a business culture, he had allowed his family culture to be decided by default. 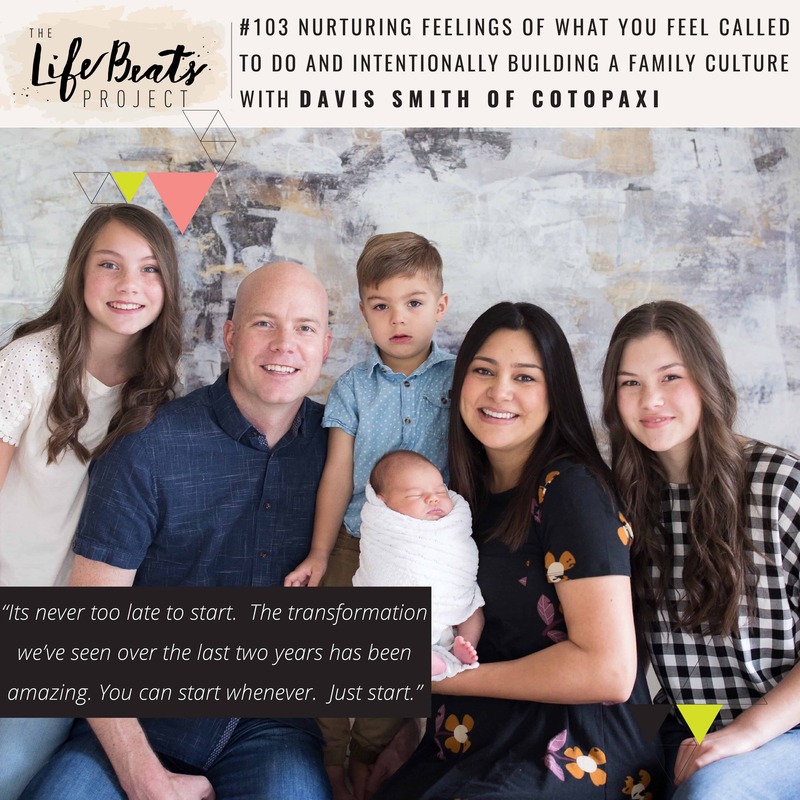 He tells the steps of how he then intentionally created a family culture by establishing core values with his wife and children and illustrates the meaningful ways it has created change. Listen and be inspired to see identify and nurture the feelings of what you feel called to do, look for ways to allow your life to be useful to others, and intentionally build a family culture based upon core values.